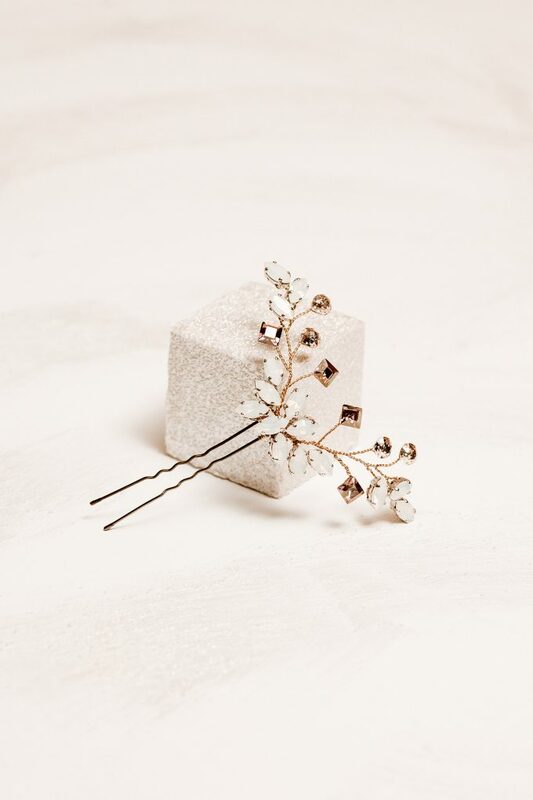 Dare to dream into the violet ray of light..
We just love using the Swarovski white opal crystals and we gathered them in the Amethy hairpin with purple and rose gold Swarovski elements the result is a delicate and precious hair pin. Suitable for any occasion or simply for enhancing your everyday looks. Various color combination possible. Just send us a request to customize the crystals.